Sarah Brandt is surprised when the son of her superstitious next-door neighbor asks for her professional advice. She is even more surprised to learn that mild-mannered Nelson Ellsworth has a mistress and has gotten her with child. 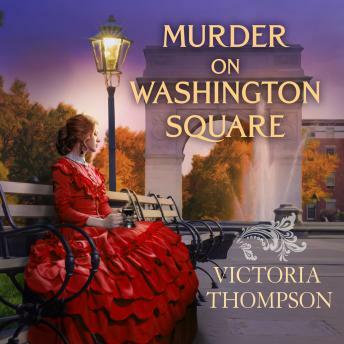 When the young woman later turns up dead under the infamous hanging tree in Washington Square, Nelson is the prime suspect. Sarah knows that he must be innocent and she enlists the help of detective Frank Malloy to help her find the real killer. When the crime becomes public knowledge, Sarah and Frank must battle a legion of scandal mongering newspaper reporters who are intent on trying and convicting Nelson before he has even been charged with the crime. With the help of Nelson's mother and an ambitious reporter, Sarah must prove that, in this case at least, the victim may have been the victimizer.